The poster is part of a landscaping project McGarry has engaged in with the school and students (known as the Bobcats), planning new tree and shrub plantings in hopes of attracting migratory songbirds and providing them with an attractive nesting spot. 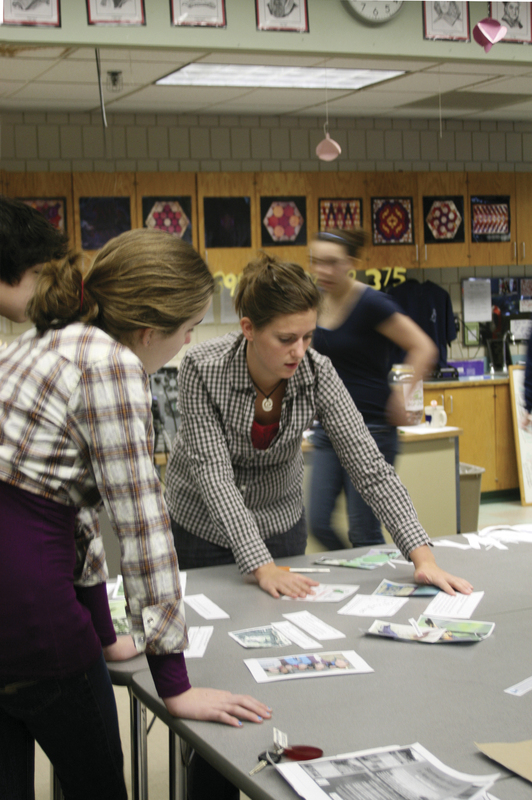 Biology education major Jacqulyn Huckins (center) helps Plymouth Middle School students create a poster about their songbird habitat project. The following morning, McGarry travels to PSU’s Concord classrooms, where she and fellow faculty members and graduate students are holding a weekend session with science teachers from school districts around the state in a Partnerships for Inquiry project intended to improve earth science education in New Hampshire schools. “I get around a lot,” McGarry says with a laugh, but the work is well worth it. “As a young person I was intimidated by science,” she says. “Dedicated science teachers inspired me to persevere and eventually become a science educator, so providing rich learning experiences for young people is especially gratifying. Professors and instructors in the University’s science departments—atmospheric science and chemistry, biological sciences, and environmental science and policy—spend countless hours on campus in Plymouth teaching and working with PSU’s undergraduate and graduate students. And for many, that’s only part of their work as educators. They also plan and participate in science outreach efforts, bringing their expertise and enthusiasm about the subject to audiences from elementary school students to longtime science teachers. 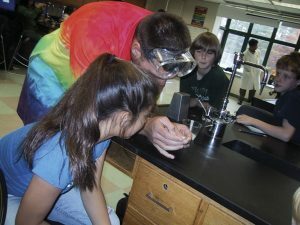 More recently, Plymouth State faculty and students have also taken science directly into local classrooms. Marguerite Crowell, a technical specialist in chemistry, began efforts five years ago to visit Plymouth elementary and middle school students for National Chemistry Week and Chemists Celebrate Earth Day; now the visits are annual events. Crowell and one other member of the atmospheric science and chemistry faculty, along with two to four undergraduate students, head to the school armed with an array of activity-based, hands-on projects to engage students. For Earth Day, they work with 3rd-graders; during National Chemistry Week, they see 6th-grade students. Physical science education major AJ D’Angelo ’10 gets Plymouth middle school students involved in hands-on activities during National Chemistry Week. “It’s nice that we’ve been doing this long enough now that we’ve seen some of the same kids come through in both grades,” Crowell says. The group from PSU gives students activities that vary year to year, from building small chemical-reaction rockets to exploring environmental topics like water quality and recycling. Plymouth State faculty members also work on more indirect—but equally important—ways to keep New Hampshire schoolchildren interested and engaged in science. 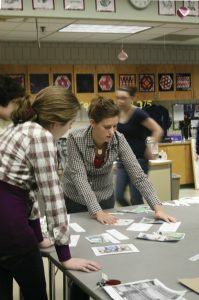 Following the logic that better science teachers will help students learn science better, they create professional development programs and training opportunities for area science teachers, working directly with the teachers and lending expertise and resources that can be hard to come by in local school districts. Len Reitsma, professor of zoology, focuses on getting teachers out of the classroom and into the field—or forest. 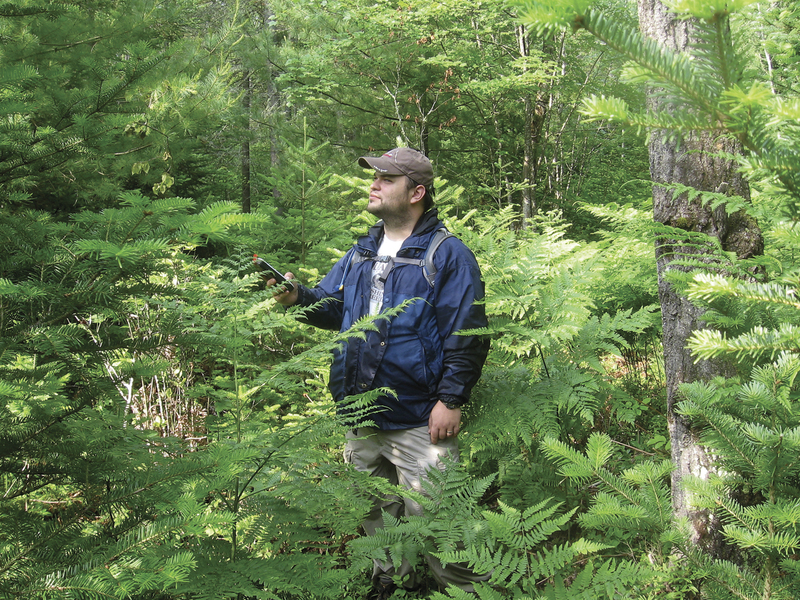 His three-day summer workshops, held near his home in Canaan, NH, allow teachers to camp out and participate in avian ecological research and field investigations. Newfound Regional High School science teacher Pete Dumont learns about field research in a summer workshop led by PSU professor Len Reitsma. Reitsma’s efforts are funded through the Wellborn Fund of the New Hampshire Charitable Foundation. He has run similar workshops every other summer for the past 10 years, working with five to 10 teachers and several PSU graduate students in each session. Over the course of three days, the teachers get the experience of taking a field study from beginning to end. “They go through the entire process, from starting with a question and forming a hypothesis, to setting up experiments, collecting data, then studying the results,” Reitsma says. 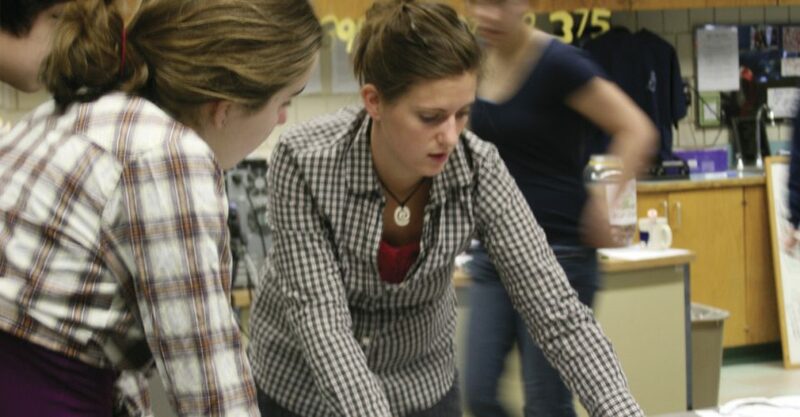 Some teachers create lessons based on their fieldwork results; others use the experience to create similar field-study opportunities for their students. Another PSU effort to improve science teaching across the state focuses on facilitation rather than fieldwork. In the Partnerships for Inquiry project, McGarry, Tomkiewiscz, and other faculty members from the Department of Environmental Science and Policy are helping teachers analyze current earth science curricula and teaching practices, and providing resources and encouragement to help effect change in places where the subject may not be getting enough attention. In a session of workshops, groups of teachers from the Alton/Barnstead, Canterbury, Concord, Deerfield, Franklin, and Laconia districts gather to assess earth science teaching in their schools and formulate realistic recommendations for improvement. It’s a valuable opportunity for the teachers—not only to work with PSU faculty and tap into their expertise, but also to network and see how other districts face the challenge of teaching science and meeting state testing standards. Many find common ground and inspiration in the experiences of their peers. Chris Lane, who has been teaching science at Rundlett Middle School in Concord for the past nine years, has a longstanding relationship with PSU’s science faculty—in fact, he credits his undergraduate experience at PSU with inspiring him to pursue a career as a science teacher. He also got his master’s degree from the University. As an educator who teaches five sections of earth science every day to 8th graders, Lane was particularly interested in these workshops. “There are different state standards for earth science for 8th and 11th grades, but the district isn’t teaching it in the high school,” he says. “So I find myself looking at the 11th-grade requirements as well, which often aren’t age-appropriate for me to teach. At the workshop session, the teachers present assessments of their districts’ current commitment to earth science teaching. The next step, according to McGarry, is to determine where to go from here. McGarry’s earnest, helpful manner allows her to connect with everyone from elementary school kids to long-time educators. As she and the other members of PSU’s science faculty reach out in an ongoing effort to engage children, teachers, and community members in the excitement of science, their enthusiasm is infectious. After the Plymouth middle school students head off to begin their day of classes, chattering excitedly about colorful songbirds, their long migrations, and the big New Hampshire caterpillars they like to eat, school principal Julie Flynn stops to check in with McGarry and Huckins. When McGarry tells Flynn how much she appreciates the students getting the time to work on the songbird habitat project, Flynn waves off the thanks and offers her own. “No, thank you, for giving the students this kind of opportunity,” she says.